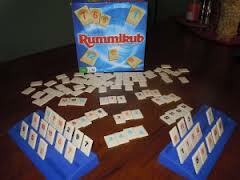 My daughter and I played a game called Rummikub the other night. If you have never heard of it, you’re not alone. The games I remember playing as a kid are Monopoly, Life, and maybe an occasional card game of Go Fish or Gin Rummy. Rummikub is kind of like Rummy, except instead of cards it is played with small wooden tiles that have colored numbers on them. Players start with a few tiles of their own and then take turns going back and forth drawing more tiles until they have a certain sequence of numbers or colors that allows them to place groups of them on the table. The first player to get rid of all his tiles wins. We started playing this game a few months ago, and it has quickly become one of our favorites. It’s simple, can still be played with missing pieces, doesn’t take hours to finish, and the cleanup is really not that bad (one of my favorite features). I’m fairly certain whoever created the game intended it to be a competition that would have players carefully guarding their tiles to make sure no one else knows what they have. But my eight year old daughter has decided that there is a different way to play it that is just as fun. I noticed that she was peeking at my tiles quite a bit. I resisted my conditioned urge to bring them closer and block her view. Instead, I became curious about what she was doing. She took note of the numbers that I had, of what tiles I needed to complete my sets, and also how my tiles would potentially fit with the incomplete sequences she had begun to build with her own tiles. I figured she was doing this to get a leg up in the game. Like me, my daughter likes to win. And she likes to be in control too. So I figured that any minute she would command me to give her what she wanted or tell me what move I should make in a way that would somehow benefit her. “Sure.” I replied, becoming more intrigued. She continued to scan the table and both of our sets of tiles to see what else we could do to get more sequences laid down. And I began to do the same thing. Before long, we had pushed our sets of tiles side by side so that we could both easily see them and were fully collaborating in our efforts. When my husband came home, she proudly announced that we were playing a friendly game of Rummikub – the kind where everyone wins. She emphasized the word “friendly” and spoke it melodically as she smiled and bounced around. 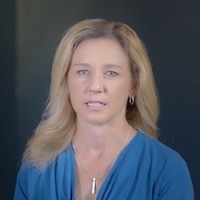 I began to think about the deeper meaning of playing a friendly game and the implications it could have in a broader context, like the way we live our lives and the games we play every day. We are all conditioned to play to win, and let’s face it – winning feels good. But how often do we stop to think about what winning really means? We often assume that whenever there is a winner there is also a loser. But what if it didn’t always have to be that way? What if instead of looking for ways to outwit, outsmart, outthink and outdo the competition, we could ask ourselves in what way can we somehow partner with our would be competitors to find a way to allow everyone to win? What if instead of viewing each other as competitors, we saw comrades with common goals that we could help one other with? What if we took the time to realize that things could work out in a way that allows everyone to get what they need and to let go of what is no longer relevant? In what ways could we learn from each other? How could we pool our knowledge to become smarter about the game and what it takes to win – and maybe even reinvent it altogether?